The Carefree Way: Read this book. You just have to. It's called The Art of Racing in the Rain. I read it in one sitting on the plane from RDU to Vegas. IT'S NOT ABOUT RACING! 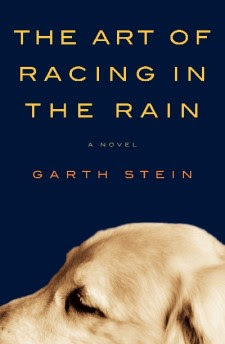 Granted, those who do race or enjoy road racing will like it a smidge more than everyone else, but this is a book anyone will enjoy. If you're a dog lover you will also enjoy it, but I know self-admitted dog non-lovers that loved it, too. It's just an incredibly well written story. I dig it.